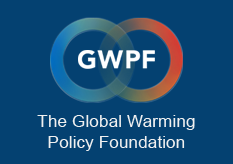 The Global Warming Policy Forum is calling on the Government to scrap Britain’s unilateral Carbon Floor Price which is contributing to the crisis of UK steel and other energy intensive industries. SSI’s decision to close its steel plant in Redcar – which is expected to result in 1,700 job losses – has led to the Government setting up a steel summit. Along with substantial falls in steel prices, the UK’s uncompetitive electricity prices have been a contributing factor to the closure of the plant in Redcar. The GWPF has been consistently warning about the rising policy cost of electricity prices which are expected to increase by 47% by 2020 for large industrial energy consumers. The UK’s extra large users of electricity are already paying nearly twice as much for power as the EU average. “Energy intensive industries – including UK steel – are facing a growing competitiveness crisis. Britain’s unilateral climate policies are racking up electricity prices and are adding to the cost burden. “Government policies to compensate the steel industry for high electricity prices are merely a sticking plaster, and do not solve the issue of competitiveness in the long term. The Carbon Floor Price is a unilateral carbon tax that came into effect on 1 April 2013 at a floor price of £16 per tCO2. It will rise to £18 per tCO2 from 2016-20.